The New Gallery: 99% More 99% Feces~!~! Amazing work torkirby. It just oozes passion. This should be the front page for the next year. 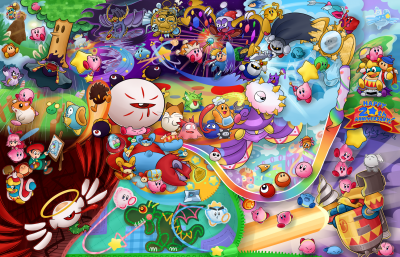 This was the first thing I saw coming back here and I just HAD to comment; this is just so amazing, how you put together elements from all of kirby's games! I wonder how you managed to cram everything onto one little space!